Tag Archive | "John Shumay"
These individuals were honored during the Kent County Sheriff Department Annual Awards Ceremony on Thursday, May 4, 2017. 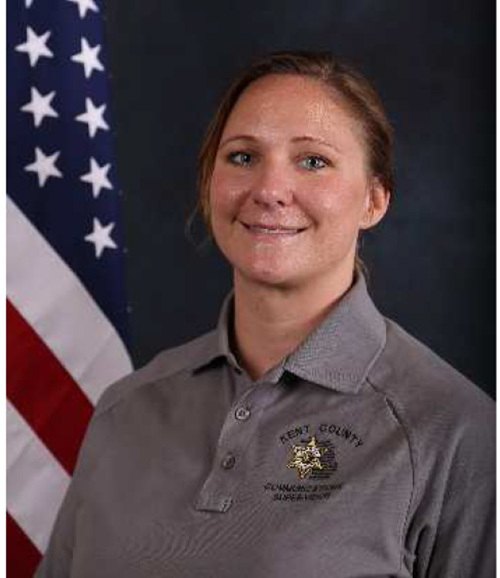 Jennifer began her career at the Kent County Sheriff Department on June 10, 2010 as an Emergency Communications Operator 1 in the Communications Center. Her duties included receiving emergency calls, dispatching proper equipment or personnel, typing call notes, and maintaining two-way radio communication for first responders. On September 30, 2013, she was promoted to Emergency Communications Supervisor 1, providing work direction for operators responsible for dispatching emergency calls. Jennifer wears many hats and, with the addition of Wyoming Public Safety, her role has become more complex. She not only supervises “C” squad, she also manages the Communication Training Officer (CTO) program and oversees the Dispatch Academy. 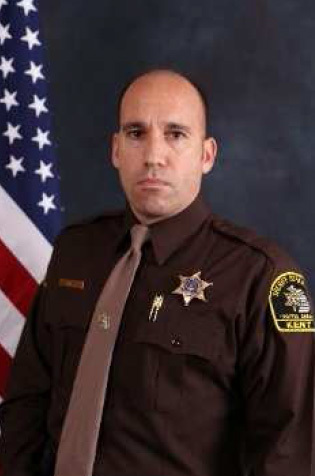 Paul began his career at the Kent County Sheriff Department on February 14, 2000 as a Corrections Officer, responsible for the general supervision and custody of inmates, conducting inmate searches, transfers, and investigations regarding alleged incidents within the facility. Paul is assigned to night shift as a C-Letter, assigned as D/B rover. He is willing and capable to work any position within the jail and does so without complaint. Deputy Rodriguez possesses great communications skills. Not only when relating with his co-workers but a necessity when diffusing situations with inmates. Deputy Rodriguez is knowledgeable in tactics to manage the jail population. He assists his partners with policy and best practices while managing the inmate population. He provides less experienced staff with veteran leadership when handling adverse situations within the jail. Communications Operator on March 11, 2002. He was transferred to a County Patrol Officer on September 22, 2003. 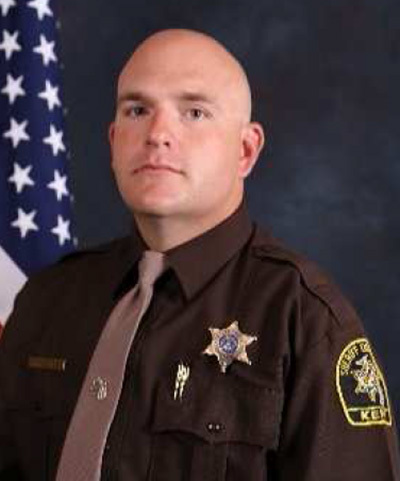 Since 2007, he has been assigned as School Resource Officer (SRO) at Northview High School. As an SRO, Andy trained 400 staff members at Northview Public Schools in active shooter response, including teaching Civilian Response to Active Shooter (CRASE). In Fall 2016, Andy brought CRASE training to a Church Safety Summit, teaching 150 church staff members. Teaching, Educations, and Mentoring (T.E.A.M) program, teaching good citizenship, laws, leadership, and police work, using current events for that day’s lesson. Andy works with Plainfield Fire and Mercy Health Systems to develop and complete a fatal car crash presentation for the junior class, including multiple “victims,” crashed vehicles, emergency responders, extractions, an emergency room scene, and courtroom re-enactment. The presentation takes the students through an emotional roller coaster and has an immense impact, bringing home the realization of the dangers of distracted driving. In order to provide the school district the greatest value, a School Resource Officer must build a trusting relationship, assess their needs, and develop pertinent school programs. Andy exemplifies this ability in his work as the Northview’s School Resource Officer. 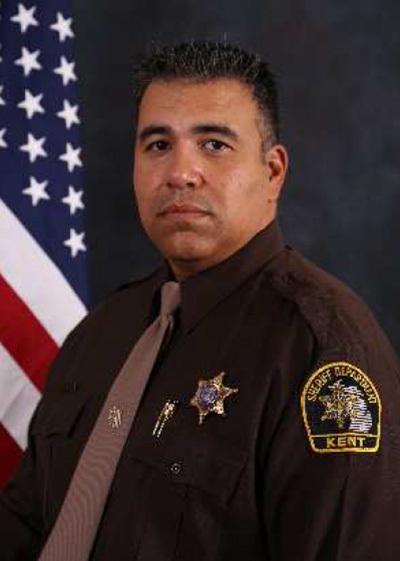 John Shumay joined the Kent County Sheriff Department’s Traffic Squad in August of 2009. He completed and graduated from the Traffic Squad Reserve Officer Academy in May of 2010. Although John has been involved in several varying aspects of The Squad, he has been particularly passionate about training and the reserve academy. In 2014 he was appointed Training Lieutenant and Senior Lieutenant in 2015, becoming part of The Squad’s administrative team. In that position, he has been tasked with managing and coordinating the academy for the past three years. Managing the academy is no small task as it requires an annual review and update of the classes and curriculum, which is done in conjunction with the Department’s Training Unit. Once that process is completed, John is responsible for coordinating and scheduling the classes, the instructors, and then conducting the four-plus hour classes on Monday and Wednesday evenings from the first of December through mid-May of the following year. This constitutes a significant commitment of both time and energy. In addition to his commitment to the academy, John coordinates the annual continuing education and training for those who are in the Enforcement Unit. He also maintains an active involvement in the Enforcement Unit and the administrative team.